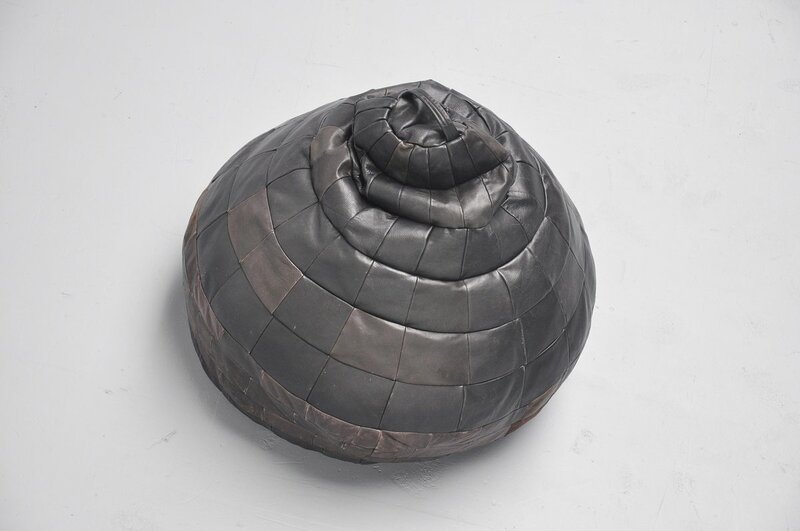 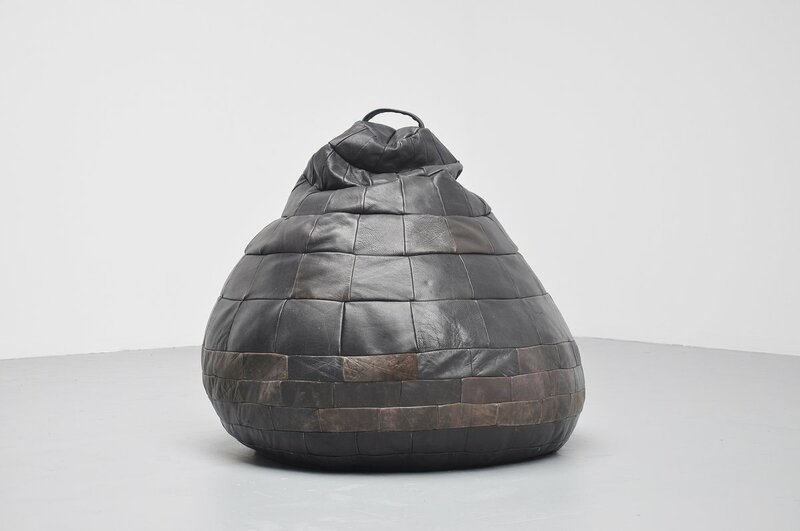 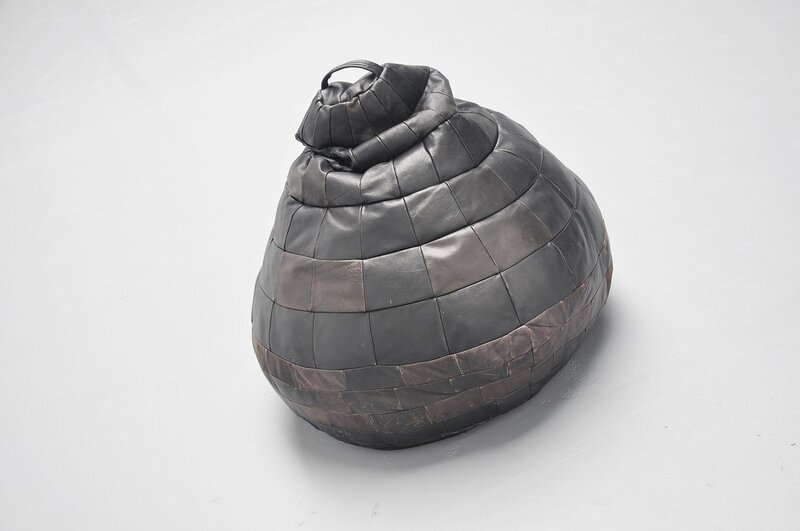 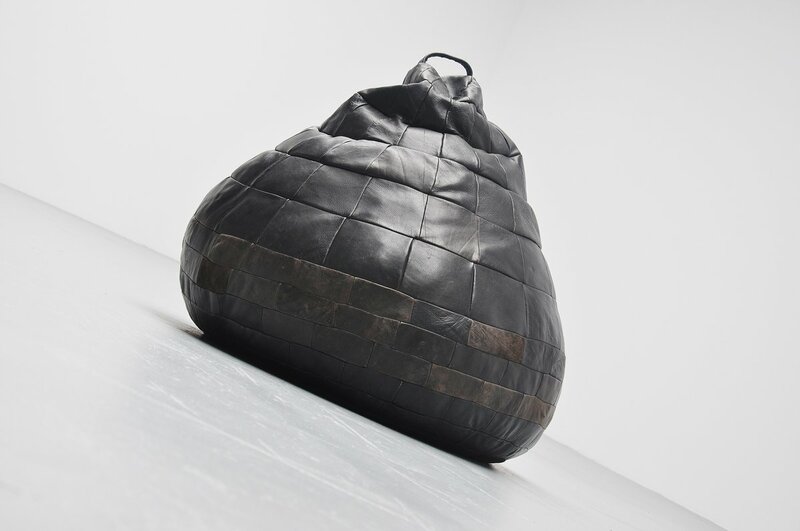 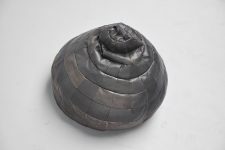 Very nice and comfortable or decorative black bean bag by De Sede, Switzerland 1970. The fun part of this bean bag is it has a handle at the top so its easy to grab this one. 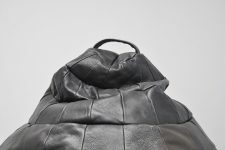 Very comfortable bag filled with foam pieces. In very nice quality black patchwork leather pieces. 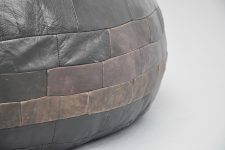 Nicely stitched and quality made as thats what De Sede is known for.